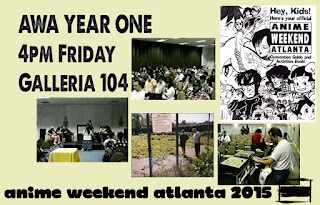 In September I presented this piece at Anime Weekend Atlanta. Thirty years back (!! 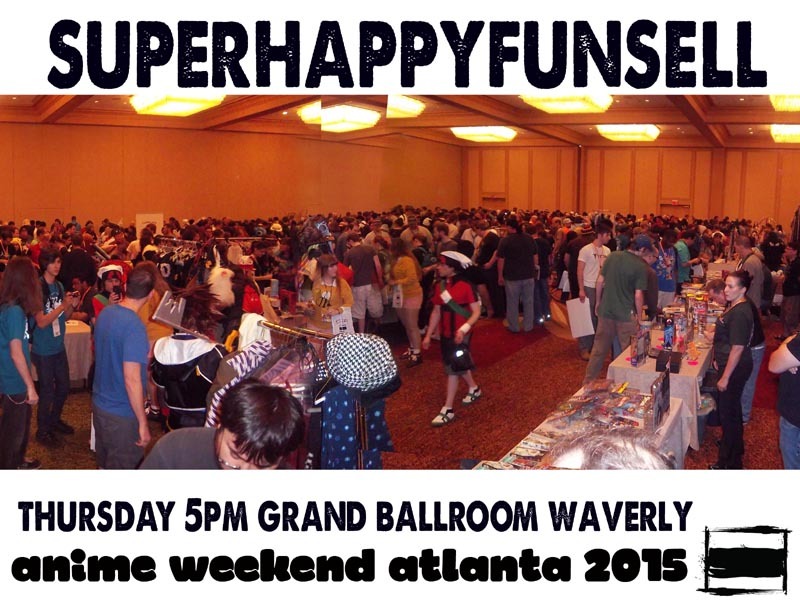 ), I was part of Atlanta’s local anime club, making library meeting rooms a welcoming place for anime fans. 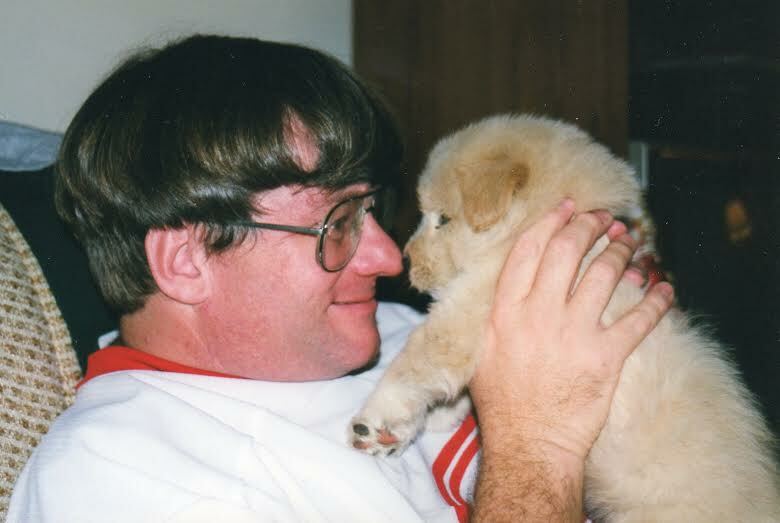 I was a teenager at the time; no, I’m not THAT old. 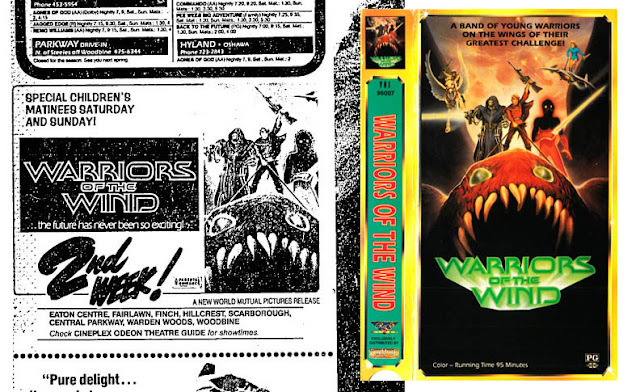 Thirty years ago Japanese anime fandom in the United States was a liminal beast, in transition from a centralized fan club model to a loosely connected clutch of fiefdoms, waiting for technology to catch up with our ideas. For many, 1985 was the pivotal year. Who was part of this “Class Of ’85?” Where did they come from, what did they do? 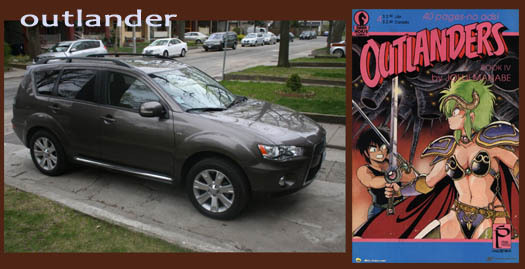 Their childhood was spent watching Speed Racer or Battle Of the Planets or Star Blazers. Teen years found them in comic-con dealers rooms or in the back row at the local Star Trek or Dr Who clubs, asking questions about Japanese animation. They’d find other interested fans, they’d learn about anime clubs in far-away places like California or Texas or Ohio, and finally they’d start their own. They were the latest in a series of anime fan surges that had been washing over North America repeatedly since the early 1960s, each fed in turn by syndication of Astro Boy, Kimba, Gigantor, Marine Boy, Prince Planet, Tobor The Eighth Man, and Speed Racer, sometimes Princess Knight or a UHF television broadcast of Jack And the Witch. All this foreign TV input coalesced into fandom in the late 70s, when Japanese-language UHF began broadcasting superrobots and when home video technology reached the point where such broadcasts could be replayed over and over again to audiences of fans. 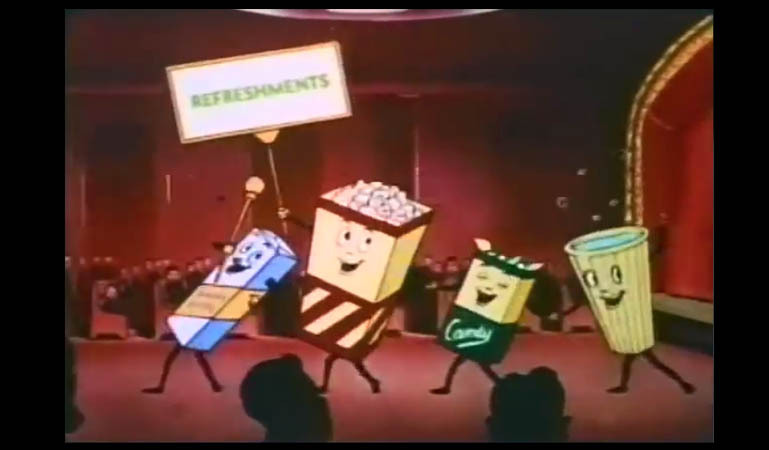 These “Japanimation” fans would gather in LA, SF and NYC to watch poorly subtitled TV cartoons and 16mm prints of Astro Boy episodes; and they’d form the first Japanese animation fan group, the Cartoon/Fantasy Organization (C/FO). Sandy Frank’s iteration of Tatsunoko’s Gatchaman, Battle Of The Planets, began syndication in September of 1978. 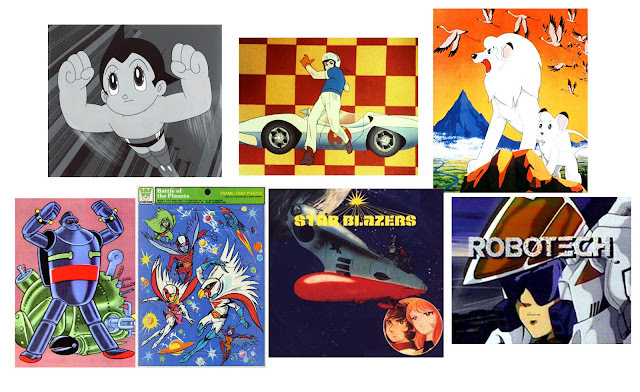 BOTP fans would shortly start the second national anime group to come to any sort of prominence, the Battle Of The Planets Fan Club. 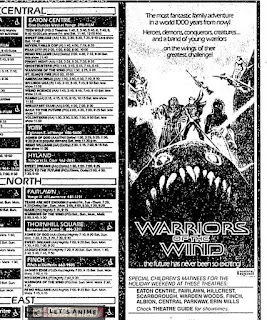 Organized in early 1979 by Ohio’s Joey Buchanan, the BOTP FC would be active through the mid 1980s, with outreach via classified ads in Starlog. Our Class Of ’85 spent 1984 taping episodes of Voltron from local TV, wishing for Star Blazers re-runs, waiting to hear back from that anime club they contacted after they found their flyer at the local comic con, and finally taking matters into their own hands. They’d find a few fellow fans with enough Japanese animation on videotape to reasonably entertain an audience for five or six hours and were crazy enough to volunteer to do all the work of hauling televisions and VCRs and boxes of tapes, and somebody would find a space they could meet once a month. Repeat in cities across the US and Canada: anime club. When Robotech - Harmony Gold’s localization of Tatsunoko’s Macross, Southern Cross and Mospeada - made its syndicated TV debut in the fall of 1985, “Japanimation” fandom was already in place and ready for its close-up, Mr DeMille. Newly minted anime fans would learn of the Macross feature film, they’d find out that their favorite arcade game “Cliff Hanger” was assembled from a couple of Lupin III feature films, that there was an entire slew of Japanese cartoons about alien high school students and vampire hunters and mercenary fighter pilots and teenage trouble consultants and ESP policemen, that there was already two and a half decades of Japanese animation to get caught up on and more happening all the time. Get comfortable. Anime club meetings lasted for hours, with a mix of films, TV episodes, and OVAs showing on the main television for as long as possible. Titles screened would typically be in Japanese without benefit of subtitles, though there was a thriving market in photocopied English synopsis guides describing who was doing what to whom. Occasionally a more fluent (or delusional) member would appoint himself facilitator and provide running commentary, which would degenerate into a crowd of people attempting to top each other’s humorous pre-MST3K commentary. Members would socialize in the back of the room or in the hall, play RPG games, draw fan artwork, sell each other anime merchandise they’d picked up and didn’t want, build model kits, and generally display future anime-con behavior. It was a golden age for home video retailers. 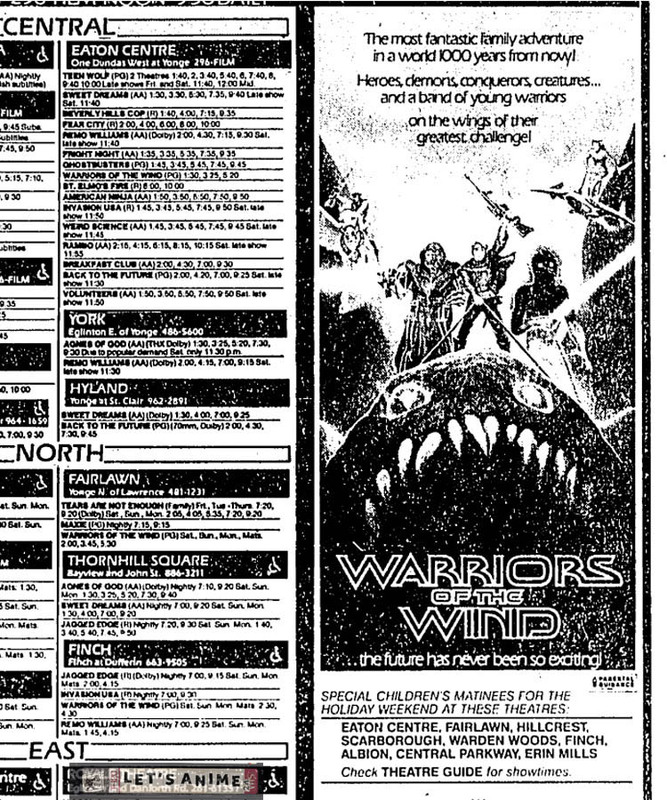 The dust was still settling from the Format Wars and Sony’s Beta was sinking fast, mortally wounded by VHS in the marketplaces of North America. 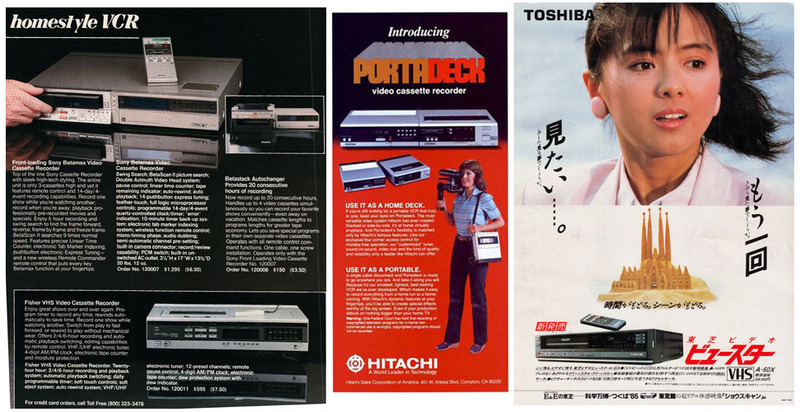 Early VCR adopters paid $1000-$1500 for the privilege, but 1985 consumers saw top of the line machines retailing for less than $600, with bargain models at around $150 - prices anime fans could afford even on their part-time after-school K-mart salary. The technology itself had progressed from top-loading, wired remote, mono decks to 4-head stereo machines capable of crystal-clear freeze frame images, all the better to view bootlegged Japanese cartoons with. Maximizing our AV experience was a must, and this might involve splitting the RF signal to two or more TVs, giving the whole crowd a decent shot at enjoying Fight! 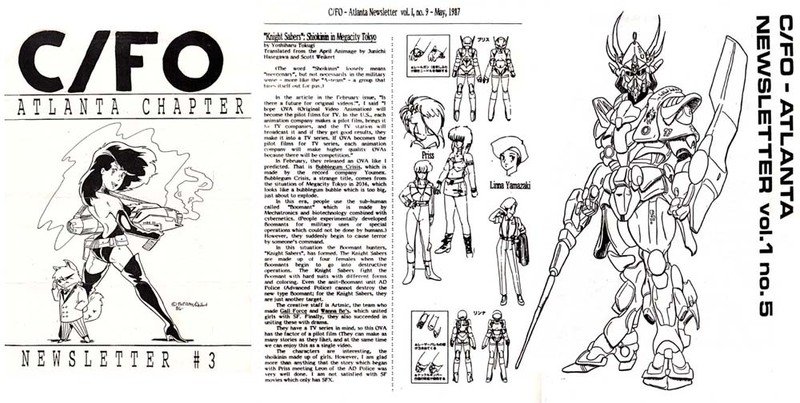 Iczer One. Thrift-store receivers and speakers would delight and/or annoy the patrons with a rough approximation of stereo sound. The Class Of ’85 learned that no anime club meeting was complete without a daisy chain of VCRs wired together in the back of the room, distributing that newly acquired tape of Vampire Hunter D down the whirring line of VHS decks with the end of the chain getting the worst of the deal. Where did those tapes come from? A thriving Japanese home video market put direct-to video anime releases, feature anime films and the occasional TV collection on the shelves of Tsutaya video rental outlets. Japanese fandom, just beginning to call itself “otaku”, was taping anime off-air, as seen in the fine documentary film “1985 Graffiti Of Otaku Generation”, later exchanging copies of these tapes with US pen pals. Servicemen stationed in Japan spent their garrison pay on blank videotape while fans in American cities with Japanese minorities were learning to haunt the local Japanese neighborhoods in search of video rental stores. 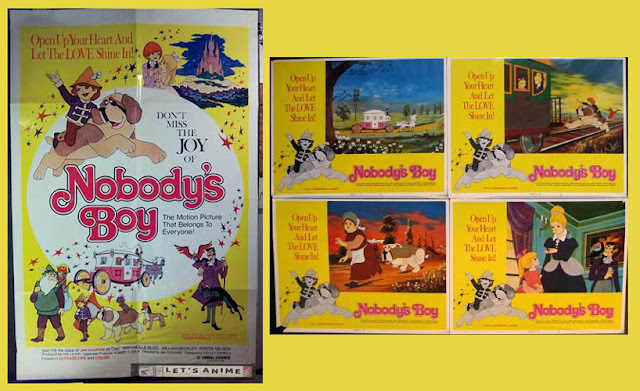 America’s own home video boom had even put some licensed releases of Japanese animation into our own video rental stores. Most were aimed at the children’s market, and even the less-kiddified releases would feature annoying English dubbing and the occasional edit for time or objectionable content. 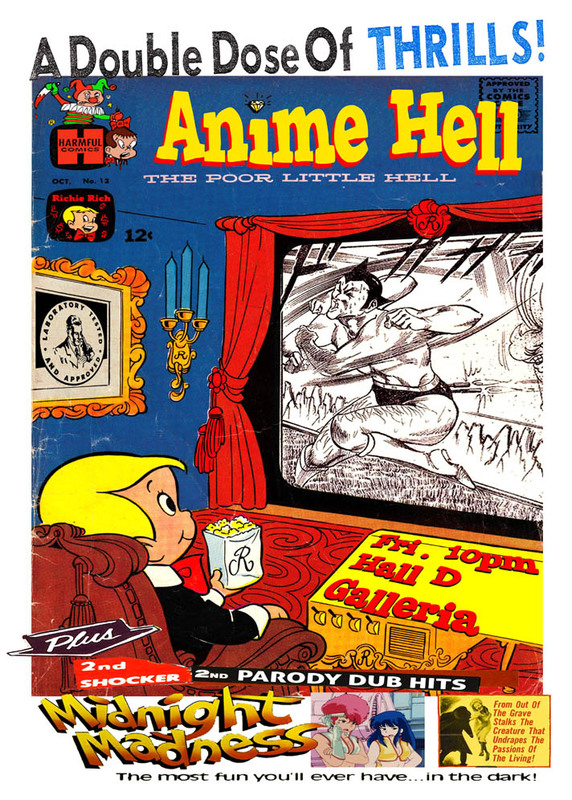 Once anime fans had seen uncut anime straight from Japan, kid-vid substitutes would not satisfy. Promoting their new anime clubs was also a struggle. 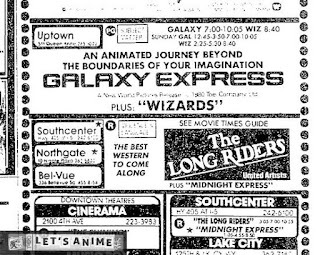 Using the internet for wide promotion and informational purposes was still in its infancy; anime clubs had to get the word out using old-fashioned print. Just as cheap home video technology enabled videotape-based TV fandom, cheap photocopy technology was causing a fanzine explosion, and fans would take full advantage of Kinko’s and related outlets. 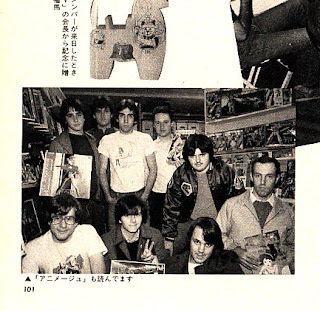 Xeroxed flyers would promote the club in comic book stores and at fan conventions. 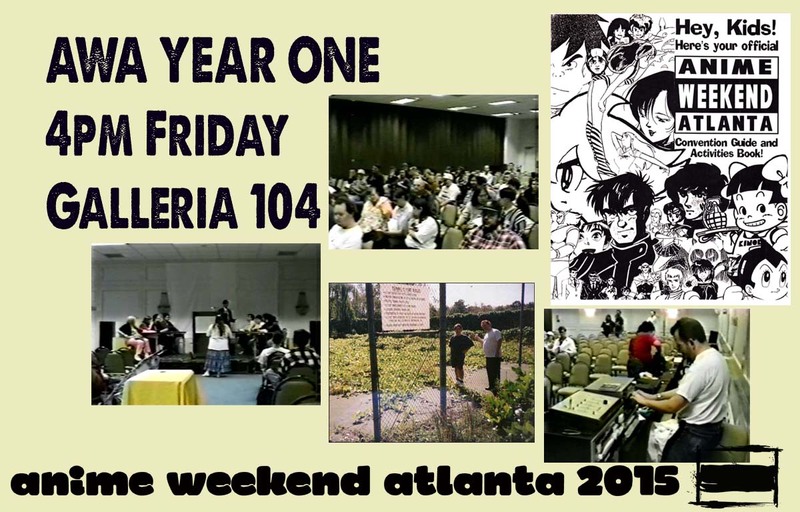 Members would be informed of upcoming meetings via a monthly newsletter assembled out of whatever fan art could be harvested and whatever anime news could be gleaned from magazines, the news media, and the wishful thinking of fellow fans. Assembling these newsletters meant an extra day or so of work every month for the club officers, all published without benefit of scanners or graphic design software, just typewriters, white-out, scissors, and glue. Copied, collated, stapled, addressed and stamped, the final product would then be subject to the mercies of the United States Post Office. 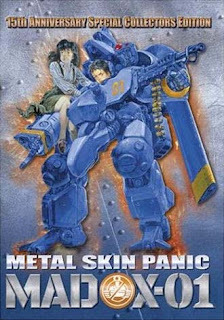 1985’s anime fans would also suffer the burdens of international economic policy. The Plaza Accords meant a rising yen vs the US dollar. This, and natural supply and demand dynamics, inflated the US prices of anime goods. In Japan, the anime market shrank from the “anime boom” years of 1982-84 even as their “Bubble Economy” swelled preparatory to bursting. Happily ignorant of the larger economic forces, the Class Of ‘85’s local clubs kept meeting at its libraries and community centers, publishing its newsletters, screening anime at comic cons and Fantasy Fairs to appreciative crowds and grumbling con organizers, swapping tapes and making road trips and generally living the 80s anime fan lifestyle of pizza, Coca-Cola, and late nights spent copying Project A-Ko over and over. What they lacked in data or tech they made up for in brotherhood; a typical anime club meeting might include a potluck junk-food smorgasbord, a surprise birthday celebration or a post-meeting dinner, with fans from three or four states turning anime club meetings into impromptu anime family reunions. As a chapter of a national organization, the local club had certain obligations to the parent body. In practice these obligations were vaguely defined and generally involved swapping newsletters, tapes and gossip with other chapters. At one point the national C/FO was sending a Yawata-Uma horse (a gaily painted hand carved wooden horse given as a gift on special occasions) from chapter to chapter to be decorated with signatures and mascot illustrations; this arrived, was duly scrawled upon, and delivered to the next link in the chain, perhaps the pinnacle of cooperative achievement for any national anime club. Photos of this horse eventually wound up in the March 1987 issue of Animage, along with pictures of American cosplayers and members of Atlanta’s local club. What finally happened to the Class of ’85 after the ‘80s ended? The Battle Of The Planets club had long since vanished, while the national Star Blazers club leveraged its reach and became Project A-Kon. The national leadership of the C/FO used parliamentary procedure to reduce what had been 30+ chapters in three nations to a few local Southern California clubs. Former C/FO chapters became sovereign anime-club states charting their own anime club destinies, while other clubs that never bothered with the C/FO kept right on doing what they’d been doing all along. For example; the Anime Hasshin club, by virtue of a lively and regularly-published newsletter, a tape-trading group, and a total lack of interest in hosting meetings or chapters, became a leader in the 90s anime fan community. 1990 saw the start of the direct-to-video, uncut, English subtitled localization industry with AnimEigo’s Madox-01. Films like Akira would put Japanese animation into the art-house cinema circuit and finally, into the cultural lexicon as something other than Speed Racer. 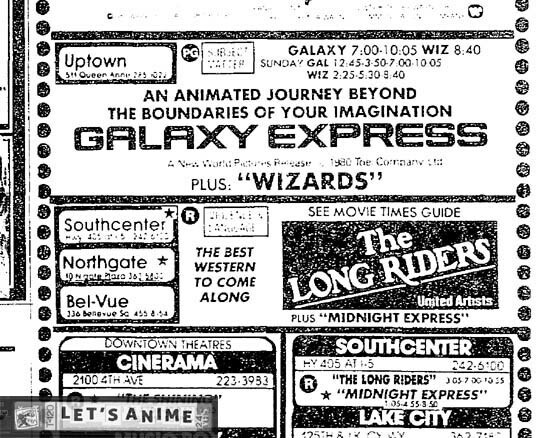 Local anime clubs began their long slide into irrelevance, faced with Blockbuster’s anime shelves and Genie or Compuserve’s dedicated anime boards. University anime groups, with giant lecture halls, professional video presentation equipment, and a captive audience of bored nerds, sprang up wholly independently of any extant fan networks. The anime club officers of the 1980s were growing up, graduating college, getting married, moving on to careers and lives beyond a monthly appointment to deliver Japanese cartoons to a roomful of fans, some of whom hadn’t bathed or been to the Laundromat in a while. They’re still around, that Class Of ’85. 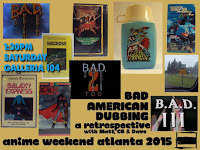 You can probably find a few survivors at your local anime con holding forth behind a panel table or on a couch in the hotel lobby, spinning tales of what fandom was like in the days of laser discs and Beta tapes. Some are no longer with us, living on in photographs, the dot matrix print of club newsletters, and in the fond memories of their fellow anime fans. Others have moved on to the far corners of the Earth or across town, in a world that now recognizes the truth of what they were trying to say three decades ago. Turns out this Japanese animation thing is pretty cool after all. As many of you know, when I'm not writing about classic anime here at Let's Anime (which, admittedly, is most of the time), I'm usually working on something at Mister Kitty, which is the website myself and my wife Shain Minuk set up some years back to host our own original comics and to feature attractions like our popular "Stupid Comics" page. 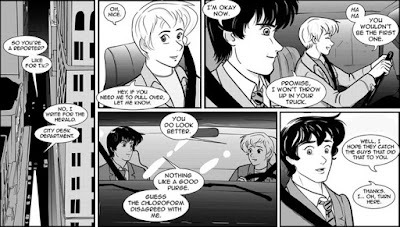 Well, the big news is that Shain has taken the big 21st century crowdfunding step and has started a Kickstarter campaign to fund a deluxe, 268 page collection of her webcomic, The Element of Surprise. 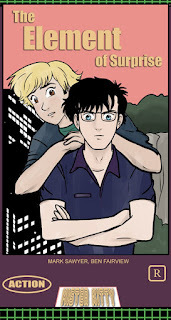 Described by the comic’s creator as “similar to Starsky and Hutch, only a little less gay”, The Element of Surprise details the relationship between two men, Mark and Ben, in a nameless but crime-ridden city somewhere in America’s “rust belt”. The Kickstarter campaign has a variety of rewards for pledges that range from $1 to $200. Readers of the webcomic, which updates weekly, have been hoping for a print version for quite some time, and Mister Kitty and Friends have finally responded. With the help of crowd funding by Kickstarter, Minuk intends to publish the first two story arcs of The Element of Surprise, while a third arc is currently running in weekly updates on the Mister Kitty website. 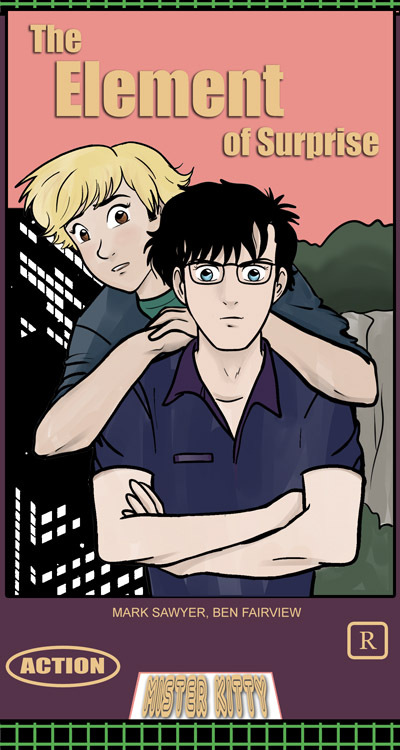 The collected volume of the webcomic will detail the two men in the early stages of their relationship, struggling with their own internal conflicts while facing up against corrupt politicians and various violent miscreants, in a story providing plenty of action and romance. 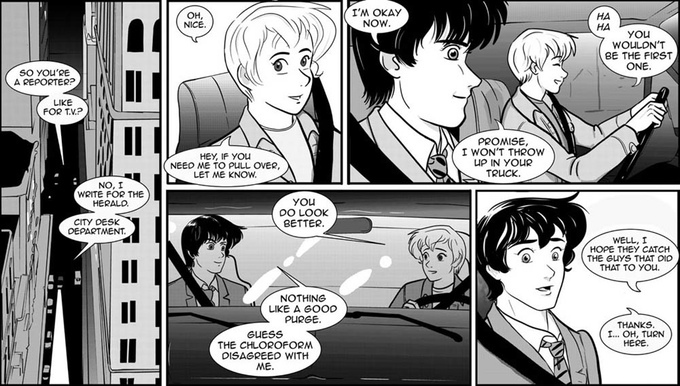 The Element of Surprise Kickstarter campaign is on until July 17th 2015. We're hoping to get the word out as far and as wide as possible, and hopefully if this project succeeds it'll be the first of many Mister Kitty print projects, including, who knows? Maybe a print Let's Anime. So check out the Kickstarter, tell your pals, spread the word, and if you can, why not drop a few bucks to help make independent print comics happen?